London: Brassey's, 1993, Hardback in Dust Wrapper. From the cover: “The awful threat of nuclear war has tended to blind people to the great advances in conventional weapons technology that occurred in the latter half of the twentieth century. These were years of unprecedented investment in research and development, and despite the cost, of unparalleled scientific advancement. The Silent Revolution is the first book to chart the worldwide development of the whole spectrum of modern weapons systems since the closing years of the Second World War. 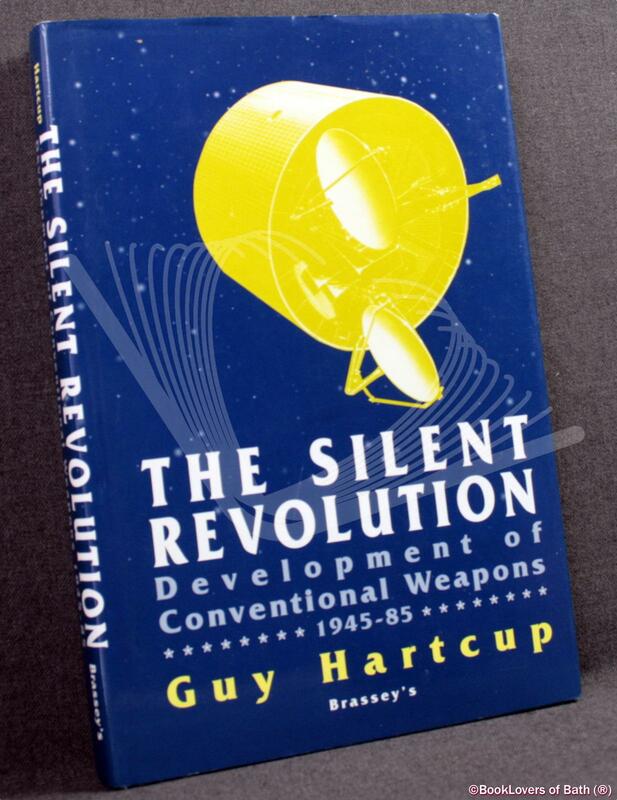 Guy Hartcup’s comprehensive study covers the many new weapon systems ranging from guided missiles to chemical weapons that have revolutionised air, land and sea warfare, and equally important, the scientific applications including electronics, communications and sensors, as well as the ability of the fighting man to handle new equipment. As a former official historian to the UK Air Ministry and the Treasury, he draws extensively upon official documents now released under the thirty year rule and upon the mass of unclassified material in the public domain covering more recent developments on both sides of the Atlantic. He has produced a unique study in which not only the weapons systems and their technology are examined but also the internecine strife between the services, each competing for a bigger share of the defence budget, and the impact of this and countless political cancellations on new projects. Size: 9½" x 6¼". Blue boards with Gilt titling to the Spine. [XXXI] 328 pages.